Save the dates and mark your calendars! Reminder – this afternoon, May 8th, 4pm! Join us for a happy hour and networking event centered all around safety. Come meet your neighbors and local officers. – Beth Roberts, City of Mpls Licensing. We’ll hear from our local representatives, learn about upcoming meetings and safety initiatives, and have some time for networking so you can connect with other restaurants and businesses. 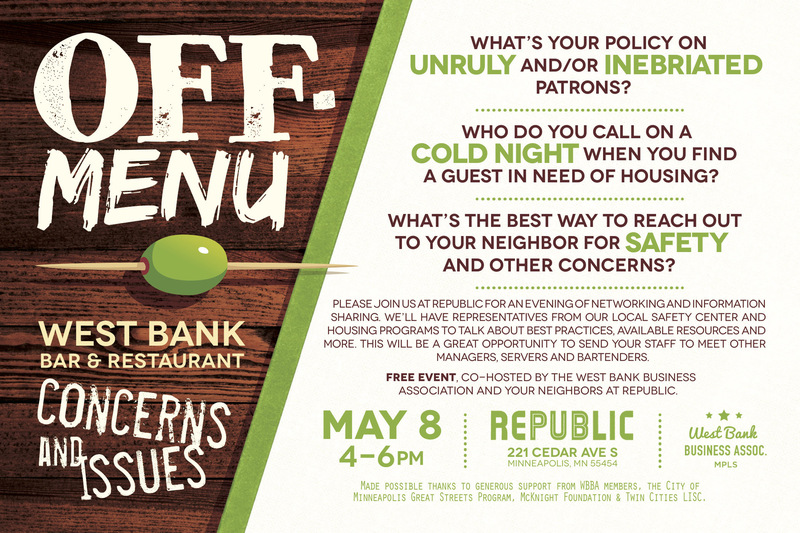 Appetizers for your snacking pleasure will be provided courtesy of our co-hosts at Republic! The 2017 Area Directories are in and they look great! We’ll have plenty of copies for you to pick up today at Republic, and will be distributing them throughout Minneapolis over the next month. Our apologies, but we kept having glitches with our last feedback link, so here is a new one. The West Bank Business is conducting our annual check-in of business needs and priorities. What are your current concerns? How can we better serve you? We appreciate you taking a few moments to let us know more how we can be helpful to you and your business. 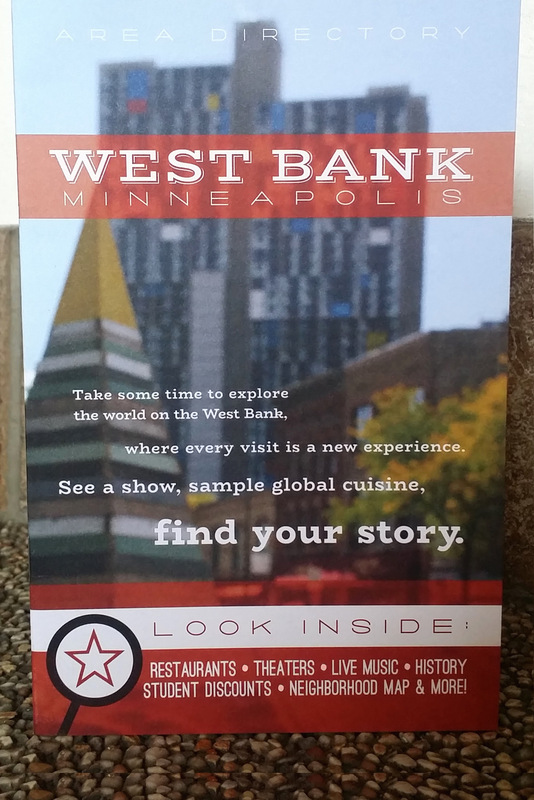 Join us as we talk about West Bank – Cedar/Riverside’s creative economy and public art in the neighborhood. We’ll be joined by Gülgün Kayim, the Director of Arts, Culture and the Creative Economy for the City of Minneapolis. We’ll also have updates on public art and wayfinding for the neighborhood, upcoming events like Northern Spark — and ways you can participate in both planning and execution! 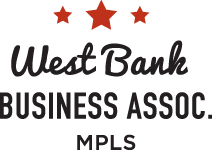 WBBA exists to engage the business community in the responsible economic development of the West Bank district while preserving the unique character and heritage of the Cedar-Riverside area.